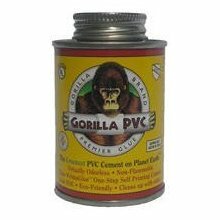 Gorilla PVC Cement is The "Green" PVC Glue. It's virtually odorless, non-flammable, self priming (no nasty primers needed), low VOC, dries white and cleans up with water. For schedule 80 through 3 inch diameter and all other classes and schedules through 6 inch diameter. Approved for potable water, DWV, sewer, drain, pressure systems to 160 psi, gas, electric, conduit and hot water to 185 deg F. Combustible do not expose to flame. 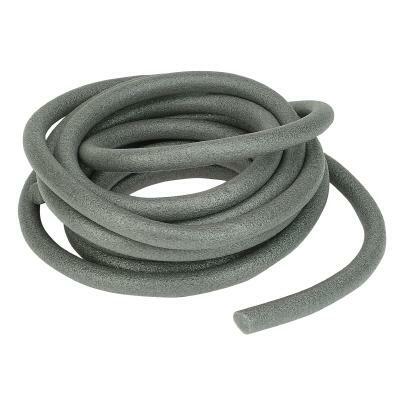 Usable temperature range: 40-140 degrees F. Not approved for use with ABS or CPVC. Combining the best features of silicone and urethane, RadonAway's exclusive Radon Pro Sealant offers superior adhesion, color stability, paintability, moisture tolerance and best of all it has 85% less VOCs than comparable sealants! It's a healthier choice for you, your customers, and the environment. Allows 50% or more joint movement! 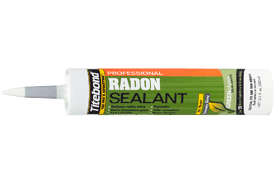 Titebond Radon Sealant is an elastomeric acrylic caulk. VOC compliant, 50 year life, paintable and easy water cleanup. 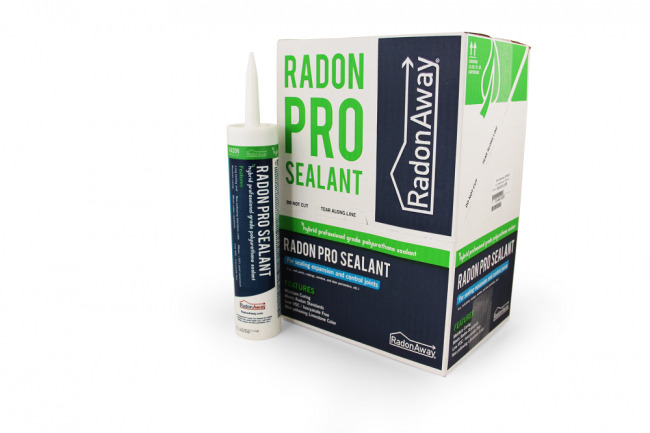 Great for sealing foundation cracks. Backer rod is important when sealing large gaps. It allows caulk to span a gap without ripping loose. 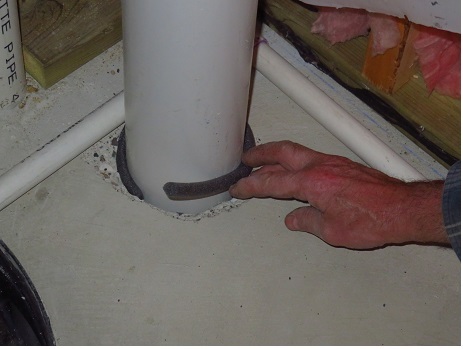 In the example above backer rod is used where the radon pipe enters the floor before caulk is applied. A 2' piece is required for 4" pipe. 1/2" will work with 1/4" to 5/8" gaps. 1" is fine for 3/4" to 1-1/8" gaps. We can provide other sizes if required. Please add the # of feet required in the shopping cart.